I have a very strange trait that for a long time seemed a useless oddity to me. I have a vivid memory of being very little. I can describe details of a home I lived in when I was 18 months old…I have a small catalog of memories from that time. My memory from 2-3 is vivid and by the time I was 4, my memory is as if it were yesterday. I didn’t put this trait to good use as a young Pediatric nurse which was probably stupid. I think I was trying so hard to be an adult I didn’t honor those memories. That changed when I started to care for families in crisis because I had a few really bad memories of being lied to as a child when bad things happened and people didn’t respect me enough to tell the truth. I can still have a physical internal reaction to those experiences. The parents I care for very often perceive their job is to protect their child(ren) from all harm and pain and the news of their siblings death will cause pain, so they think their job is to not tell them or to give as little information as possible. In almost every case I disagree with this idea. When I speak to parents, I’m careful to not get too bossy – their family is still THEIR family and they get the final say on how and what they tell their kids. I tell them that I have a few ideas I want to share with them and I ask them to hear me out while they formulate a plan for how to proceed. – We are to protect our children but part of our role is to teach them to cope in the world they were born into and loss/death is universal. We teach our kids stuff every day – we likely teach them MORE about life and family in adversity than in less difficult times. – I quickly ask what age the kids are and if there are 2-6 year olds, I tell them that often a child’s worst fear is being LOST from their parents. I caution them against using the metaphor of “loss/lost” for death as it can be very stress provoking and frightening to that age. The kids often think that the parents have set the baby down on a bench someplace and can’t remember which one – which means that THEY could get “lost” too. If I can see that they are on-board with my line of thinking, I will add to not even say it on the phone when speaking to relatives as the children are listening to every word. If they ask me what they should say I say “tell them the baby died”. I am not exaggerating when I say that having observed many young children, they are MUCH more comfortable with the word “death” than “lost”. – I often tell the story of my mother lying to me about my grandfathers sickness after I heard her tell her friends about it on the phone. It caused me a great deal of inner turmoil. I knew what I heard and I was very concerned about him plus her reaction told me that I had no safe place to discuss it. I felt disrespected, insulted and had no place to work through my feelings and fears. Children are NOT going to tell you “I feel disrespected” but the feelings may very well brew and be acted upon. Their siblings death is a huge chunk of THEIR life and they (I would argue) have a right to learn as much about it as possible. – Know that someone in your family lost something different from everyone else…the youngest sibling lost their big brother/sisterhood and that can be a serious loss to them. I encourage parents have a special private moment with the youngest sibling and acknowledge their special loss, they will likely really appreciate it. – I often (especially of the loss was way-early and names hadn’t been picked out yet) encourage the parents to let the most upset sibling name the baby who died, even if you don’t know the gender. It gives the baby an identity and shows huge respect to the upset sibling. I have thus cared for babies named after cartoon characters & animals but there is no wrong way to name a baby who has died. – I feel very strongly that siblings should be given the chance to see & hold their deceased sibling (as long as the baby can be presented in a visually gentle way). I would never push too hard on this one though. I have seen profound moments of deep love and bonding and grief-processing when siblings held their deceased brother or sister. Again, having the chance to be there leaves them feeling respected. If you are unsure, ask the child what they think is best, they may surprise you. – I never treat children like they are stupid or incapable of handling the situation. I treat 2 yr olds with a great deal of respect in these situations and even though they have a short attention span, they often rise to the occasion. I had 2 & 4 yr old sibs help me make mementoes and they were actually good at it. I made a special one for each of them and the mom said that the child spoke of making it many times. – I’m very open to the fact that often little kids say the kindest, most real, and reasonable things. I once saw adults in white coats say stupid things all day to allay their own anxiety and the sibling piped up and said “I’m so sad that she died!” it was the truest thing I heard in that room all day. Very wise. 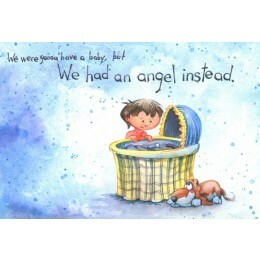 We were sort of flying blind when we experienced the death of our son at 13 weeks in April of 2011. We didn’t want to shield our five living children (aged 4 to 12 at that time) because they knew good and well we were happily expecting a baby and we couldn’t pretend that we hadn’t been. I know that the things you imagine are mostly worse than reality so I didn’t want them to have any nightmare images in their heads about what the baby looked like. After he was born (the middle of the night) I took photos and then after spending some time with him put him in some saline in the fridge. He was buried two days later and that morning I got him out and laid him out on some blue fleece. I had the children come in to see him (if they wanted – they all did) and hold him on the fleece (if they wanted – two did, including the 4 year old). We answered questions as best we could (“No, we don’t know why he died.”) We let them spend as much time as they wanted with him. They attended the burial and have attended all the memorial services since then, picking flowers from the grave, etc. I was pregnant again in 5 months but that baby died at 13 weeks too. 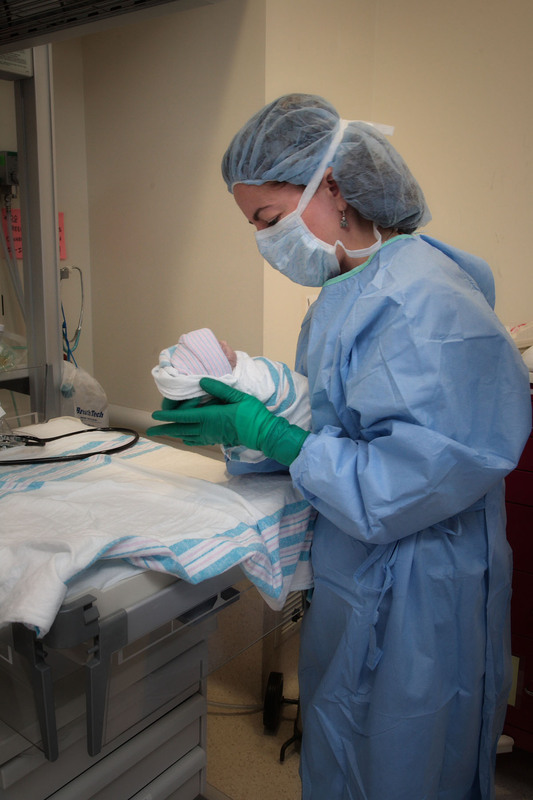 We did everything very similarly but this time I delivered him in the hospital after induction, not at home. The children were more at home with touching Andrew than they had been with Innocent. They didn’t hold back tears and said what they were thinking. The funny thing was that my youngest son (4 1/2) thought Andrew was cute and wanted to take him to his room to play with him. Frankly, except for not understanding the whole concept of death, burial, Heaven, etc. (he’s gotten better since), he did better than any of the rest of the children. He has talked about them more than the others and has been very forthright about missing them, feeling sad they died, etc. The older children don’t really talk about them and I don’t force it. When we told our oldest child (13 now) a few weeks ago that there was a possibility we might be moving in a few months, within a few hours it occurred to her that that would mean leaving the boys’ graves behind. I came home from the store to find her in our bedroom, crying and talking it over with Papa. He later told me that he explained to her that there would be nothing left of their bodies by now, that they had completely decomposed, and so we weren’t really leaving anything behind (she is confident that their souls are in Heaven so no issues there). I was surprised to find that this was an immediate consolation to her and she hasn’t been upset since. I think this falls in with the maxim that “truth is always better”. We underestimate what children can handle and we don’t do them any favors when we shield them from reality. Thanks for sharing your story; it sounds like you handled the situation well. Your experience is a good example of why I suggest that home burials allow the baby to come in contact with the natural elements of the earth so that they do naturally return to nature rather than putting them in any sort of a plastic container that would keep them separated from the processes that would return them to the earth. I am OK if some parents have kids in the births, but I am more in your camp of thinking…births have a lot of blood and there is often pain and angst and the mom giving birth cant also actively parent her other kids in that same exact moment. I am more an advocate of the mom birthing the way she needs to (complete with a scream or curse word if necessary) then bring the kids in later when you can tend their individual needs. Wow, Tammy, what a blessing you must be to your families! When our daughter died (at 3 months old) her big brother was 3.5 and had seen her go in and out of the hospital for 6 weeks. He knew she was sick and would probably die. The best advice we got in how to walk him through grief was to listen to him and clarify his questions. “Where is Gianna?” may not be a philosophical inquiry, but wanting to just know that her body is still buried at the cemetery. That saved us a lot of time and confusion! We were also very careful to never tell him that God “took” his sister. What kind of crappy God wants to kill babies? Instead we told him what we know to be true: God hates that babies die. It was not his plan. He hates it so much that he sent his only son to conquer death so that we can all be together forever. Ugh. If you can pick a worst part of infant death, this might be it. Thanks for your caring and compassionate apostolate. Libby…you were really smart to use care in how you described God’s presence in your daughters death to your son. If you want me to go completely insane, tell me that “God needed another angel” I may run down the street waving my arms in the air. I went to a funeral recently and the mom gave an amazingly beautiful talk…one of the things she said was “People say ‘we plan and God laughs’ but God knew my son would die, I think that I planned and God cried”.